Twenty-eight newborn babies had to be transferred to another hospital in the capital in order to ensure their safety. Venezuela's Foreign Minister Delcy Rodriguez announced on her Twitter account that "armed gangs hired by the opposition attacked a maternal and children's hospital with 54 children (inside)." She also said that President Nicolas Maduro ordered the evacuation of the hospital, adding, "We will defeat the coup attempt." The Hugo Rafael Chavez Frias Maternal and Children's Hospital is located in the El Valle neighborhood ofCaracas. Rodriguez also blamed right-wing governments for helping incite the violence. "The small group of governments that have expressed their public support for the Venezuelan opposition has encouraged this vandalism and extreme violence," she said. Those working in the hospital said that the attack started at around 9. p.m. Thursday and lasted for close to three hours. "We were attacked by violent groups that showered us with stones and sharp objects (and) then burned a large amount of garbage from the hospital – the smoke penetrated inside the premises," said hospital manager Dr. Rosalinda Prieto, adding that there were newborn babies in the emergency area. Patients were seen being evacuated in ambulanceswhere, according to the local fire department, 28 newborn babies were transferred to another hospital in the capital. Six babies had to be stabilized before they were transferred. Jorge Rodriguez, mayor of Caracas, said in a Twitter post, "As a human being and as a doctor I denounce the terrorist attack on the maternal and child hospital of El Valle. Fifty-four children had to be evacuated." Several violent incidents occurred in the El Valle neighborhood today as right-wing opposition protests continued, according to RT. President Kuczynski estimated last week that Peru would need up to US$9 billion to rebuild from the damages. According to a report released Tuesday by the National Emergency Operations Center, 178,701 people have been affected, and at least 237,906 homes have been damaged. Rainfall has also destroyed 2,542 kilometers of roads and thousands of hectares of crops. Farmers are asking for government assistance to help recover from the devastation. President Pedro Pablo Kuczynski estimated last week that Peru would need up to US$9 billion to rebuild and modernize areas that have been affected by natural disasters. 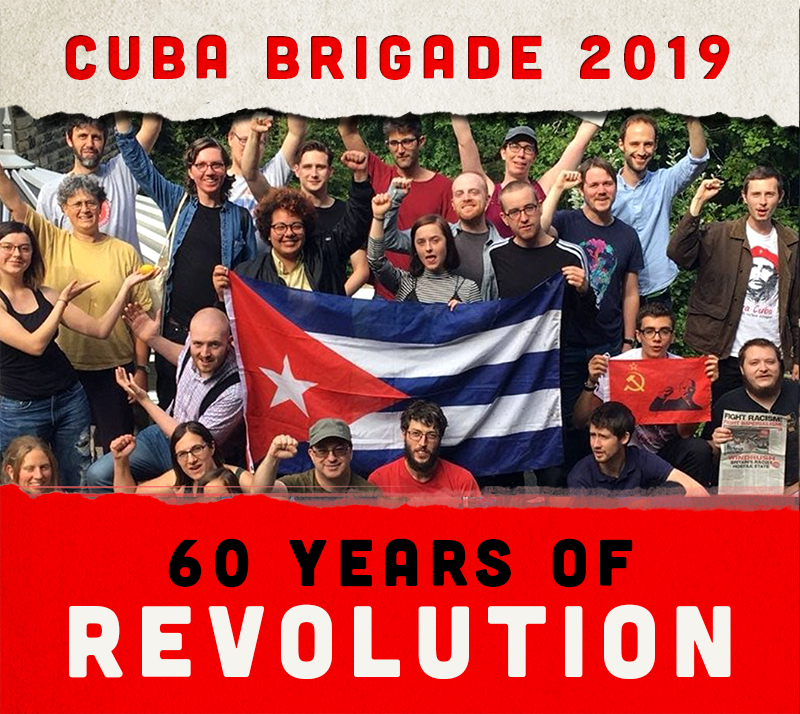 leading in the way of international solidarity efforts is Cuba, who has sent its Henry Reeve Medical Brigade, which specializes in disasters and epidemics. The group includes 11 doctors, 10 health care professionals, an administrator, and a lead doctor, who in just a few short weeks have seen more than 6,000 affected people. According to experts, the warming of the waters of the Pacific Ocean in northern Peru has led to a phenomenon called "El Niño Costero," with has led to the heavy rains, landslides and floods. Those hardest hit have been the poor, most notably Peruvians who built their homes on cheap land near the river, which runs from Peru's central Andes to the Pacific coast. Hundreds of thousands of Venezuelans took to the streets of the capital Wednesday in massive pro and anti-government rallies marking the country’s independence day. Thousands of red-clad supporters of President Nicolas Maduro mobilized in four separate marches that culminated in a mass rally along Bolivar Avenue in downtown Caracas. “I am here to support the Revolution… because I love my country, I’m a Chavista in the flesh and I support Chavez and Maduro, and I want that to be heard in the US, Europe and the rest of the world so they can’t say this is a show, that we don’t have numbers, that we’re paid to be here. No, this is real,” one marcher told Venezuelanalysis. The pro-government demonstration comes on the heels of a series of statements released by the US State Department and 11 neighboring countries warning the Maduro administration to “ensure the right to peaceful protest”. Caracas has blasted the communiqués as “interventionist”, calling into question the moral and legal authority of Washington and its regional allies to intercede in internal Venezuelan affairs. Many present at Wednesday’s march likewise expressed their categorical rejection of foreign interference. “Here we are at the largest anti-imperialist march in Venezuelan history, the US empire has done much harm and we have right-wing opposition sectors that seek the ouster of the legitimately elected government, [but] here we are in the streets, ready to give everything including our lives to prevent US boots from touching our soil,” affirmed Jesus Pinto, national secretary general for the Tupamaros National Revolutionary Movement. The strong anti-interventionist sentiment has been reflected in a recent poll by independent pollster Hinterlaces, which found that 76 percent of Venezuelans oppose international intervention to remove President Maduro. Meanwhile, thousands of opposition protesters marched from the Plaza Francia in the wealthy eastern Caracas municipality of Chacao towards the National Ombudsman’s office downtown, despite lacking the necessary permit from El Libertador Mayor Jorge Rodriguez. The government has consistently denied permission for opposition supporters to march to Caracas' western municipality of El Libertador since a short-lived opposition-led coup in 2002, triggered by an anti-government march diverted towards Miraflores Presidential Palace that left 19 dead by opposition sniper-fire. The march was called by the right-wing opposition Democratic Unity Roundtable (MUD) coalition, which has presented the government with a hodgepodge of demands, ranging from holding postponed regional elections and allowing humanitarian aid to removing Supreme Court justices and convening snap presidential elections one year ahead of schedule. Clashes with authorities later ensued as demonstrators took over the Francisco Fajardo Highway in an effort to reach the more pro-government western section of the capital. Some opposition supporters called on the international community to aid in securing a “change of government” in the South American country. “What I want is for today’s march to be forceful so the international community sees that we have to get rid of these people [the Maduro administration] because these people are not going to go peacefully, let the international community force elections so there is a change of government for the wellbeing of the people,” lawyer Carlos Alberto Galeano told VA. The maximalist demand of forcing early presidential elections has grown increasingly popular among sections of the opposition’s base. As of Thursday, five people have been reported dead. By now, you’ve probably heard about what’s going on in Venezuela. Right-wing opposition demonstrators are leading daily protests against the government of President Nicolas Maduro and supporters of the Bolivarian Revolution. As of Thursday, five people have tragically been reported dead: Jairo Ortiz, Ricarda Lourdes, Daniel Queliz, Miguel Colmenares and Brayan Principal. In line with mainstream media, Venezuelan opposition leaders allege that Maduro’s administration is responsible for all of these deaths. Hasler Iglesias, for example, a youth organizer for the right-wing Popular Will party, claims police killed all five people. “These are assassinations of the dictatorship,” Iglesias posted on Twitter Wednesday. There’s no denying that people have died as a result of ongoing protests. What the opposition fails to mention, however, is why and how these people died and who is responsible for their deaths. Venezuelan police are responsible for two of the five deaths attributed to Maduro’s government by the opposition, Question Digital reports. Two others died from direct and indirect actions by opposition supporters, with the last person dying in the crosshairs of conflict between both sides. Lasso had promised to throw WikiLeaks founder Julian Assange out of Ecuador’s London embassy. He claimed there were attempts at fraud before the final vote was announced and, provoked by his supporters, skirmishes broke out outside the electoral authority headquarters. Lasso could provide no evidence, though 248 votes from a rural area may have been incorrectly allotted. Lasso and former congress member Cinthya Viteri of the Social Christian Party, who supported Lasso in the second round, are focused on erasing from Ecuador every trace of Correa’s ‘Citizen’s Revolution’, accusing Correa of repressing freedom of expression. Three exit polls falsely suggested Lasso had won and he prematurely declared himself the winner. As the votes were counted he declared: ‘I’m warning the world that in Ecuador procedures are being violated, and they’re trying to swear in an illegitimate government.’ Lasso presented his complaint to the Organization of American States, which has an observation mission in Ecuador. It discounted his accusations and PAIS Alliance has confidently agreed to the recount of votes. Right-wing politics in Ecuador, backed by imperialism, is a mass of lies, evasions, folly and hatred. Until 2015 Correa’s strategy pushed economic growth at an average of 4.38%, lowering poverty, which fell by 12.5% between 2006 and 2015, and reducing inequality. Ecuadorians demand accessible health care, universal public education and poverty alleviation. Moreno will continue Correa’s social programmes. A budget deficit of possibly some 5% of GDP poses a challenge to this. The fall in the price of oil means slower growth, even a fall in GDP and so a growing debt to GDP ratio. Job creation in a country dependent on exports of oil, bananas and shrimp poses another challenge. The country’s currency is the US dollar and its high value has hit exports. Despite the fact that the abolition of capitalism is hardly on Mr Moreno’s agenda, he will face attacks from the wealthy and middle-class who will opportunistically support environmental and indigenous groups’ opposition to government actions in any area. He will have to deal with the corruption scandal at state-run oil company PetroEcuador, which is related to the Brazilian conglomerate Odebrecht’s bribery campaign. Morena is paraplegic as a result of being shot in the back in 1998 and becomes the world’s only wheelchair-using head of state. During his campaign, he spoke of ‘de-Correafication’, by which he meant de-personalising the political process to deflate the nasty personal attacks on Moreno, not the removal of the ‘Citizen’s Revolution’ programme, as the western press has inferred. In the final weeks of his campaign, Moreno presented his Plan for Life, which emphasised fighting poverty and strengthening protections for vulnerable populations such as children, the homeless, and elderly people. In the December 2015 elections, the majority opposition MUD (Democratic Unity Roundtable) claimed to have won 112 of the 167 seats. However, the election of four of the MPs from Amazonas state were immediately suspended by the Supreme Court following representations by the National Electoral Council (CNE), because of accusations of voter fraud and election irregularities. Two of the four were MUD opposition deputies, one was their ally, and one was from the President’s alliance, the Great Patriotic Pole. This left the balance 109 to 55, or 66% and not the super-majority which would have allowed MUD to attempt a massive reversal of all the gains made by the people over the last 18 years. As soon as the new Congress opened in January 2016, the three suspended MUD representatives were illegally sworn in. Found to be in contempt of court, the MUD majority backed down, but reinstated the three again in July 2016. The Presidential coalition, in contrast, accepted the suspension of its representative. In August 2016, the Court declared that the National Assembly Presiding Council and the opposition deputies were in contempt of court for having broken two of its rulings. Since its election the extraordinarily vitriolic and reactionary main opposition party, has spent all of its energies and the time of Congress trying to expel the President. The presidential elections are not until 2018 and President Maduro's term ends in April 2019. The situation could be resolved immediately if MUD removed their three suspended members of Congress. The MUD refuses to do so because they are aiming to force the State President out of office. Because of the on-going impasse, in October 2016 President Maduro was forced to circumvent the National Assembly altogether by putting the national budget to a chamber of the Supreme Court rather than the legislature. This situation has hardened this month. The precipitating factor had been the obstruction by MUD of the authorisation of joint ventures in oil, potentially with Russia and China. Such ventures are a red rag to US imperialism. The Supreme Court ruling also gave President Maduro widespread powers to authorise such oil joint ventures without Congressional approval. Stable trading and pricing arrangements with non-western corporations would assist the Venezuelan economy, where 50% of the GDP is from oil income, and oil constitutes 95% of export revenues. Punta de Maisí, Guantánamo.– Orfelina Matos Legrá struggles to keep back the tears as she speaks about the New, Tricolor Neighborhood Mission. And it’s understandable, given that her home is one of the over 150 which, through this collaboration project with Venezuela, have been restored thus far in Punta de Maisí, following damage caused by Hurricane Matthew. The 60-year-old campesina also expressed her gratitude to the Cuban state, which supplied additional resources totally free of charge, such as cement, sand, gravel, building blocks, and tacks, as well as transportation to deliver the supplies donated by Venezuela. “Matthew seriously impacted the vast majority of homes in the area. Everything was destroyed, however, the destruction quickly turned into well-being thanks to the Revolution and international aid. Look how lovely this row of houses is with their red roofs, and each painted three different colors. They are prettier than before the hurricane hit. My neighborhood looks like new, it’s much better and a lot more colorful,” states Orfelina, pointing to several newly restored homes to her right. This sense of gratitude is also shared by José Rodríguez Azahares, Carlos Rodríguez Paumier, and other residents whose homes have benefitted from the New Neighborhood project. José notes that small brigades of neighbors were formed to help each other repair and rebuild their homes, and help with the most difficult tasks such as replacing roofing. “Thanks to the resources Venezuela and the Cuban government have been providing since mid-January, I was able to repair my house. My neighbors and brother-in-law helped me,” states Carlos, who works as a security guard at the coffee processing plant in Punta de Maisí.